With so many potential benefits, it’s important to be familiar with the funding options that are available. Here’s a list of the most common sources of financing, including pluses and minuses that every restaurant owner should understand. Conventional bank loan or line of credit. National, regional and community banks may provide a conventional loan or a line of credit, but the qualification requirements can be steep. You’ll need a stellar credit record and sufficient collateral to obtain approval. While the costs of conventional financing are attractive, the reality is that many restaurants simply won’t qualify. SBA-backed loans. The Small Business Administration doesn’t loan money to businesses; instead, they provide a partial guarantee to approved lenders. SBA-backed loans feature competitive interest rates and business-friendly repayment terms, but approval rates are relatively low due to strict underwriting requirements. Also, obtaining an SBA-backed loan can be a slow, paperwork-intensive process that tests the patience of any restaurant owner. Business credit card. A business credit card is one of the most common sources of funding for small businesses, including restaurants. In practical terms, a business credit card is simply a personal credit card with the restaurant’s name on it. Your credit card can be a useful source of short-term financing for equipment, furnishings or unexpected expenses, but high interest rates can make it an expensive option, and usage will be restricted by your credit limit. Alternative financing. Alternative business loans and revenue-based financing are widely available to most established restaurants. If you’ve been in business for at least four months, a merchant cash advance can provide funding quickly with minimal paperwork in most cases. The cost of alternative financing tends to be higher than other sources of financing but that should be considered in light of the relative inaccessibility of other options. Equity financing. Some restaurants may have the option of selling an ownership stake in return for operating capital, but it can be difficult and time consuming to find potential partners. Plus, when you take on a partner, you’ll dilute your share of the profits and you may have to give up some control of your restaurant’s day-to-day operations. 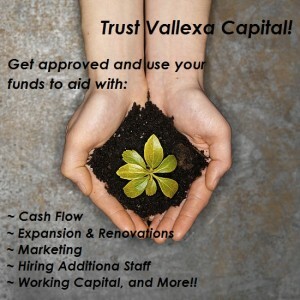 Merchant cash advance: alternative financing for your restaurant. As outlined above, there are a several financing sources that are available to your restaurant or food service business, at least in theory. In reality, however, many of those options might not be available when you need them. As many owners have discovered the hard way, the industry’s relatively high failure rate has made banks hesitant to provide financing for restaurants, even when the loan is partially guaranteed by the SBA. This makes alternative financing an important source of funding for the food service industry. For many restaurants, the most accessible form of funding is a merchant cash advance, which can provide up to $100,000 in funding within just a few days. A merchant cash advance is not a loan; it is a purchase and sale agreement where you receive a discounted lump-sum payment in return for a portion of your restaurant’s future credit/debit card sales. For example, a funding partner might pay you $20,000 up front for the right to $25,000 of your restaurant’s future sales. Discounts vary according to the specific terms of each agreement, but generally range from 17 to 40 cents per dollar funded. Repayment is automated; your funding partner will receive a fixed percentage of your daily credit/debit card sales directly from your payment processing system. The repayment term can vary, but most agreements schedule full repayment within six to 12 months. Since repayment is based on a predetermined percentage of your daily credit/debit card sales, the amount you repay will vary each day. When business is up, you’ll repay more; when business is down you’ll repay less. This flexible repayment makes a merchant cash advance an attractive option for restaurants that experience seasonal fluctuations. 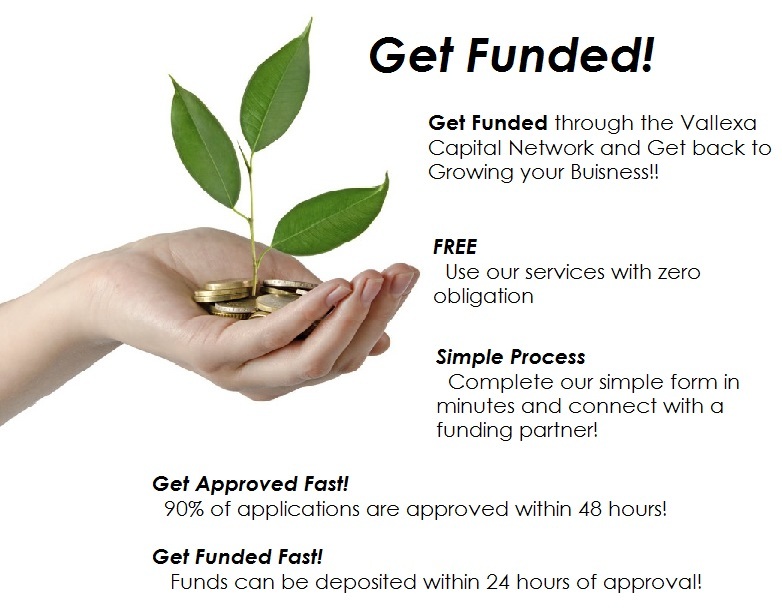 In most cases, a merchant cash advance can be initiated with a simple online application. Once you have connected with a funding partner and finalized an agreement, money will be deposited directly in your business bank account. Also, availability of a merchant cash advance is based on the strength of the business, so a restaurant with a verifiable record of credit card sales will usually qualify even if you’ve already been turned down for a conventional bank loan. Similarly, you won’t be disqualified if you have a tax lien with a payment plan or if you have a bankruptcy that has been discharged.